Good ideas with the #Fatal4Way and #GauntletMatch to determine Championship Contenders on @WWE #RAW. 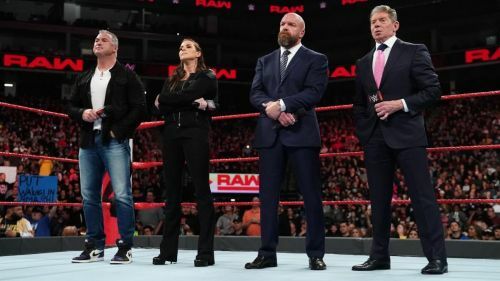 @TripleH @StephMcMahon @shanemcmahon @VinceMcMahon have a lot of work ahead of them to win back the audience. #wwe #raw was better wrestling wise and the women were strong. But still this whole "Shakeup" thing is only giving the McMahons an ego boost and insulting our intelligence. It's a 5.5 for me. Three hours of this is WAAYYYYY too long. Yet again #RAW proved that the main reasons to watch WWE main roster are almost entirely the women. First two hours were a drag, last hour was great fun! What a start to #RAW!! 10/10 loved tonight’s show it started very well and strong a change n store for both #RAW and #SDLive can’t wait for tomorrow night!